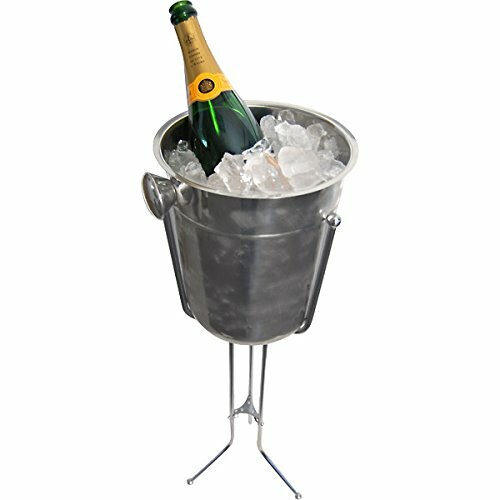 This stylish champagne & wine bucket makes the perfect addition to your bar. Great if you don't have enough room at the table or bar. You can simply set this next to a chair or stool. Simple assembly required. * Specs - Bucket Dimensions: 10"H x 8 3/4"D and Stand Dimensions: 29 1/2"H.
Stand folds for easy storage.